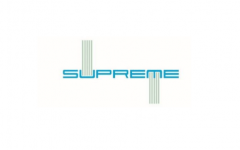 Business description - Supreme Engineering is engaged in the business of manufacturing special alloys and special wire products. It has two manufacturing units Unit I being the Special Steels division, located at Khopoli, and engaged in the manufacturing of special alloys such as super alloys, precipitation hardening steels, martensitic stainless steel, austenitic stainless steel, ultra high strength steel and high speed steels; and Unit II being the Wire division, located at Rabale, Navi Mumbai, engaged in the manufacturing of wires, bright bars, fine wires and profiles. Over the years, the company has expanded its operations by investing in high-end technology & infrastructure and presently has these two units. Both these units have different product processing capabilities with modern infrastructure. The Special steels division is equipped with advanced technology such as Vacuum Induction Melting (VIM), Argon-oxygen decarburisation (AOD), Electro-slag Refining (ESR), Radial Forging Machine (GFM), Rolling Mill, Heat treatment furnaces, bright bar plant & machine shop for manufacturing special alloys. Manufacturing facilities at the wire division include heat-treatment furnaces, coil to coil peeling machines, drawings machines, bright bar plant and cold-rolling facilities. The units have been approved by various Defence Public Sector Undertakings, Public Sector Undertakings, Ordnance factories and undertakings belonging to aerospace, automotive and energy sectors. Supreme Engineering IPO allotment status will be available on Bigshare Services' website. Click on this link to get allotment status. fincial position of company ……Total debts of company? How much is total debt…?